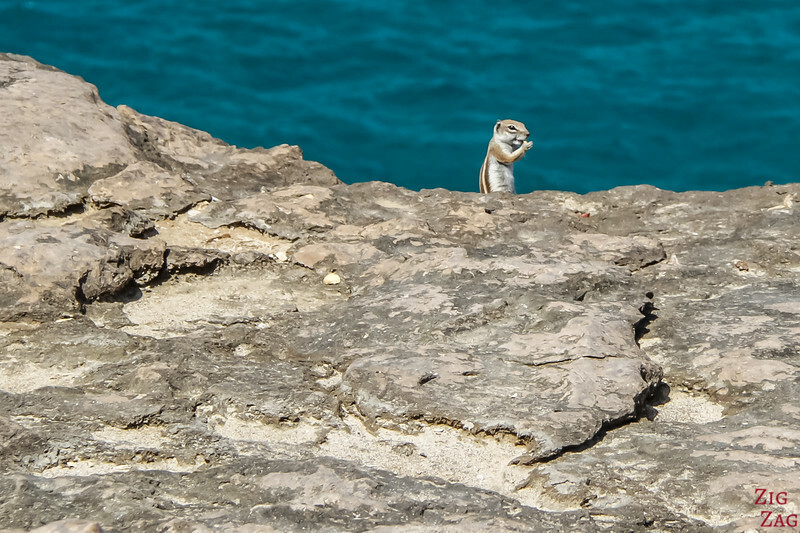 Want to visit the Eastern Canary islands? But here is the question: Lanzarote or Fuerteventura ? Both islands have a lot to offer: beaches, volcanoes, cliffs... Below is my in depth comparison to help you decide. I enjoyed both, but my favorite is Lanzarote. I love how it has kept it authenticity with the architecture and the limited development and how many fascinating volcanic features there are. 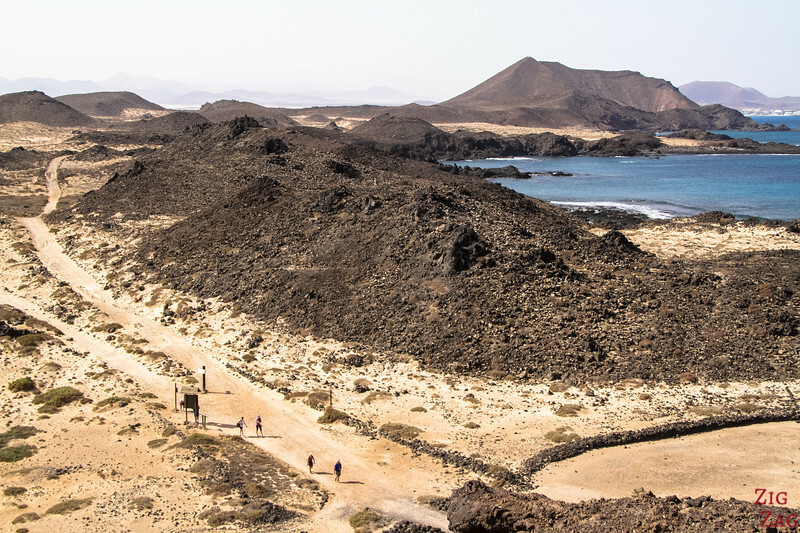 Before I write point by point on various criteria to compare and help you decide where to go: Lanzarote or Fuerteventura - below are 2 videos to give you a snapshot of both islands. Fuerteventura definitively has a lot more sand than Lanzarote, so there is a larger choice of beaches for you to choose from. Resort Beaches of Lanzarote or Resort beaches of Fuerteventura? 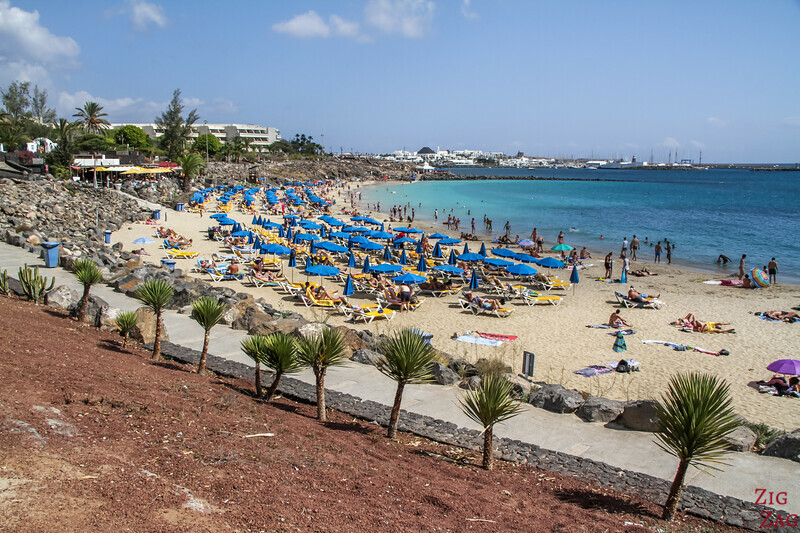 Lanzarote has 3 main resort towns: Playa Blanca, Puerto del Carmen and Costa Teguise. They all have beaches mostly small coves. 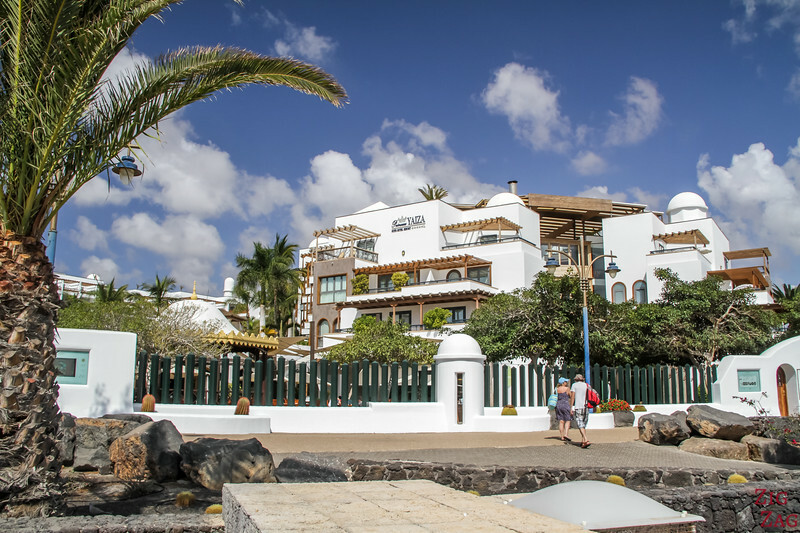 Fuerteventura's resorts are mostly in the South of the island with Morro Jable and Costa Calma. Both have long beaches with lots of space. And for the North area, huge beach areas are not far away from Corralejo. 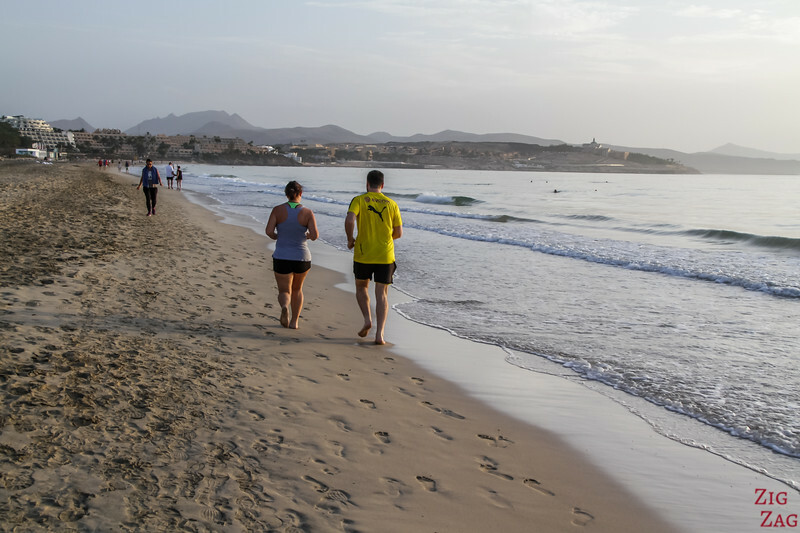 Fuerteventura offers larger beaches and more space to set up near all the facilities of town. Wild Beaches - Fuerteventura or Lanzarote? If you are looking for more scenic beaches, wilder options, both islands have lots to offer. In Lanzarote, choices are more limited, but you have some very scenic options. The most famous are the Papagayo beaches in the South of the island. The landscape is bare and the last beach is a beautiful cove with emerald waters. 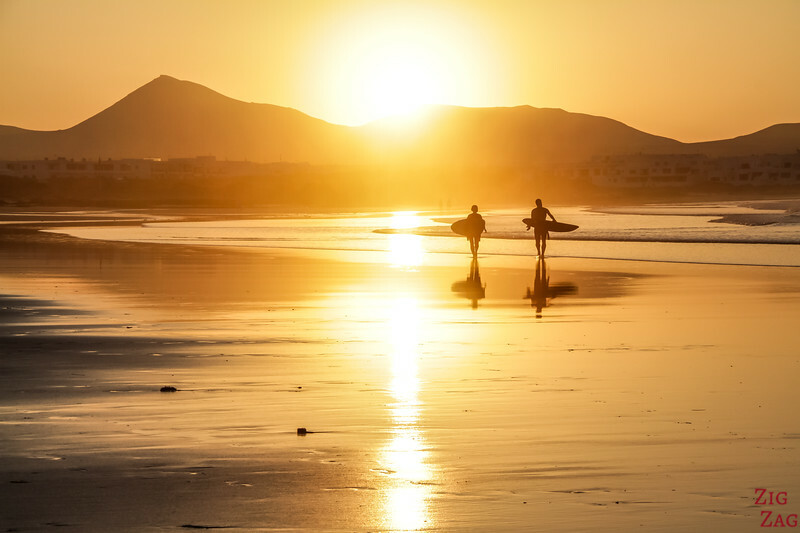 You can learn more on my article about the best beaches in Lanzarote. 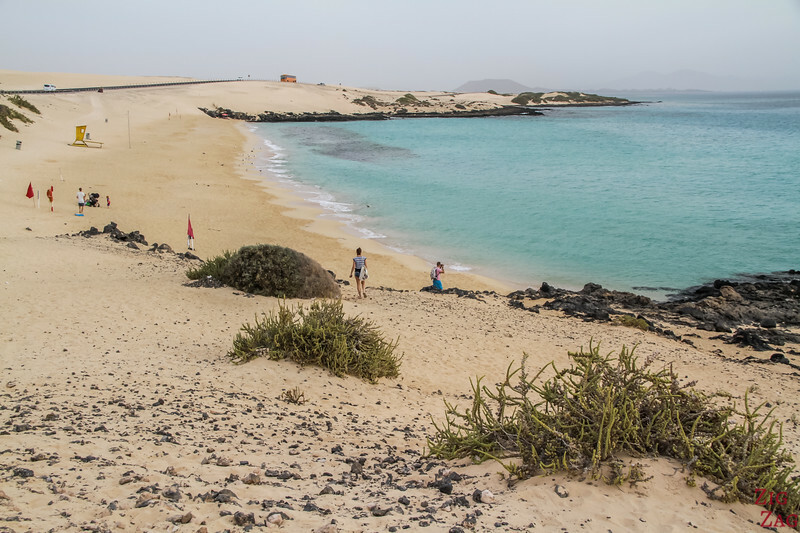 In Fuerteventura, you have the Corralejo sand dunes to the North that just sand and turquoise water for kilometers. It is impressive and magnificent. And in the South you have the Jandia Lagoon where you won't feel like you are cluttered and getting to know too much your towel neighbours. 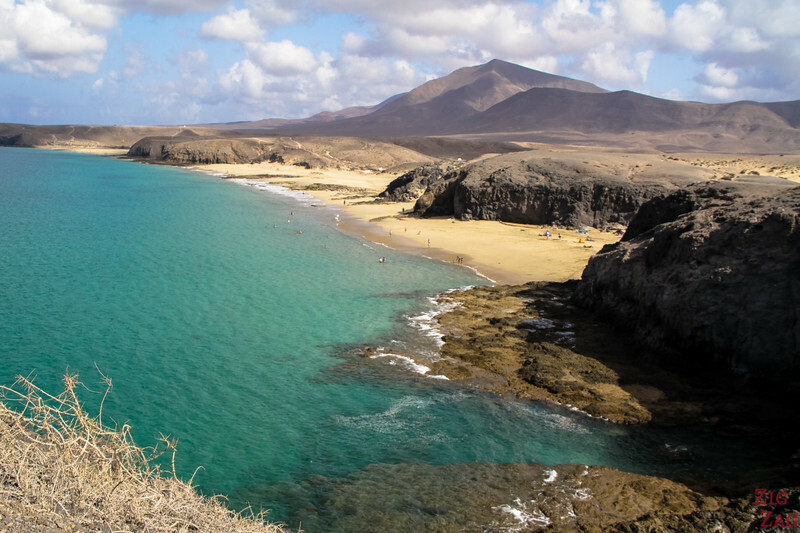 It also have wilder beaches with huge waves on the South West Coast such as Cofete or La Pared. You can easily find the right beach for your mood. Both have interesting choices. But I would pick Fuerteventura because you get a lot more space and can more easily get away from the crowds if you want. 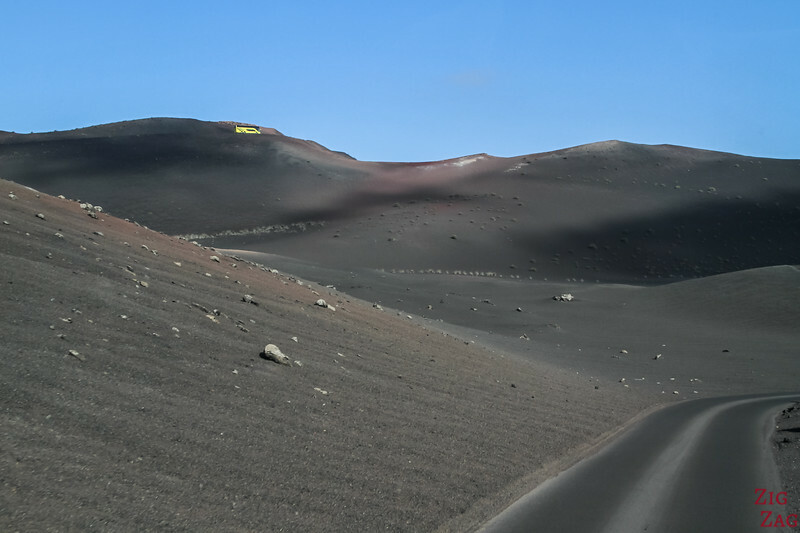 Many many volcanoes including the National park of Timanfaya. Some are black, others are red and there is even one large white one. Because of all the volcanoes, the winner is Lanzarote. But I must admit that I was pleasently surprised by Fuerteventura. It was much more interesting than I expected from the pictures. The best option if you have 2 weeks would be 10 days in Lanzarote and 4 days in Fuerteventura or something like that. 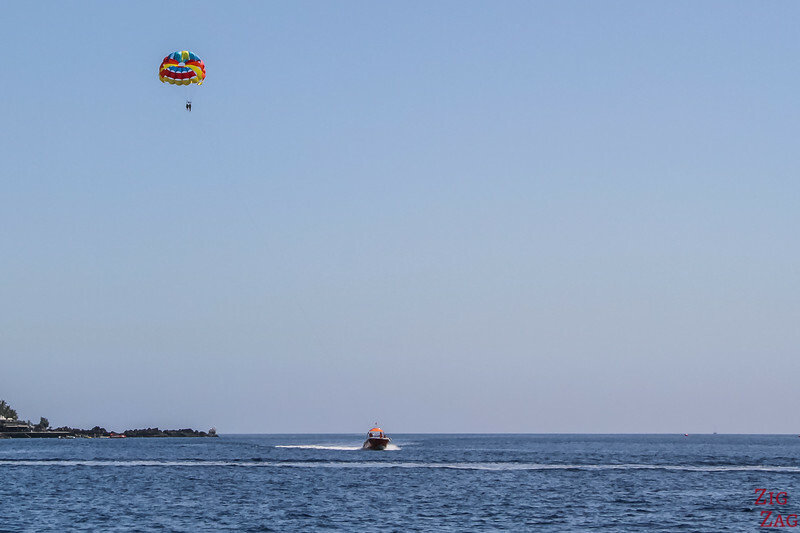 On land, there are also options to have fun while discovering the islands. Now let's have a look at the travel conditions you can expect on both island. Being very close to each others, there are nor many differences, except for accommodations. Generally speaking, the weather is warm and dry all year around. 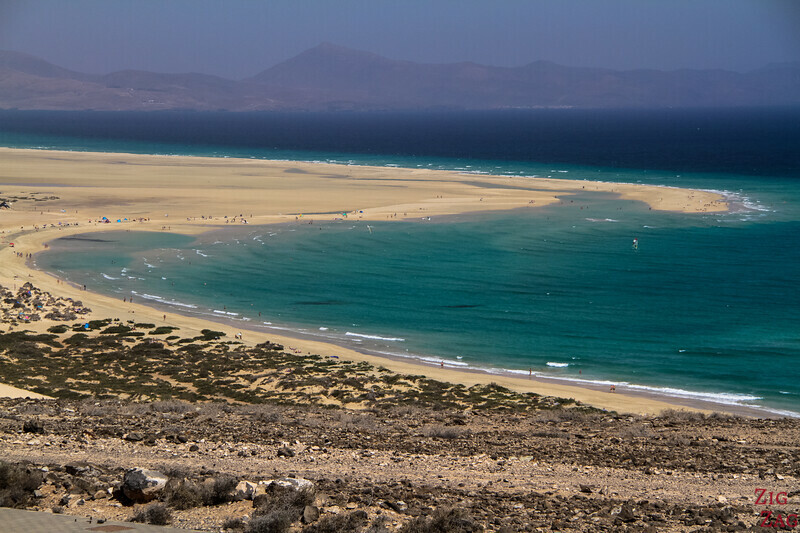 Both islands are windy, but Fuerteventura is considered to have more wind. Both island experience foggy days especially when the wind is blowing from the Sahara. In Winter you can expect temperature around 21°C while in Summer it climbs to 28°C - 30 °C. Because of the common Canarian history and similar weather conditions, you can find similar food on both islands. 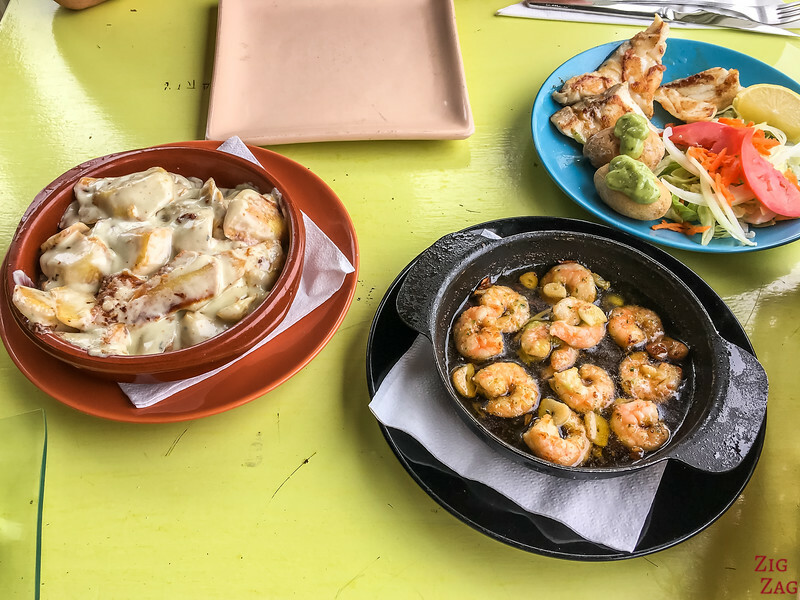 Local cuisine is primary seafood with traditional Spanish recipes and Latin American influences. Not much grows on the islands, so fruits vegetables are imported and not heavily present in the menus. One special thing though about Lanzarote, are the vineyards where trees grows thanks to the Picon volcanic rocks. Sweet tasting wine and great visits to be done and discover the unique agriculture technique. Driving on both islands is not very difficult. Roads are in fairly good conditions. Driving in on the right. 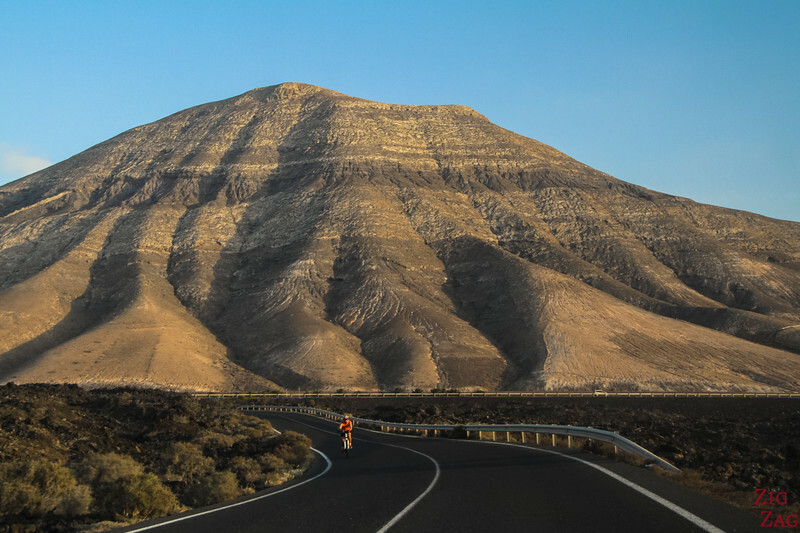 Because of its size and lesser volcanic soil, Fuerteventura has some bigger road that allow you to drive quickly from North to South on the East coast. What's funny is that both Lanzarote and Fuerteventura have wonderful smaller volcanic islands very close to them. They can be reached with smaller ferries and experienced as a day trip. 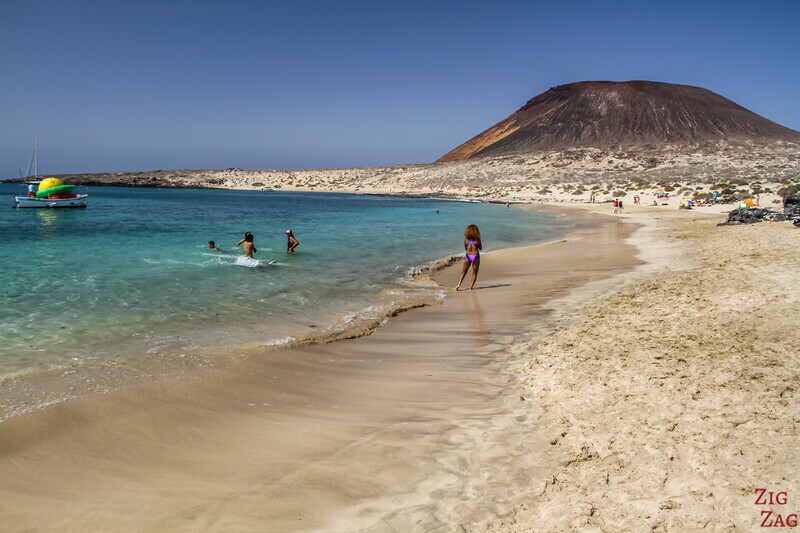 To the North of Lanzarote is the small island of La Graciosa, which can be reached by ferry from Orzola. 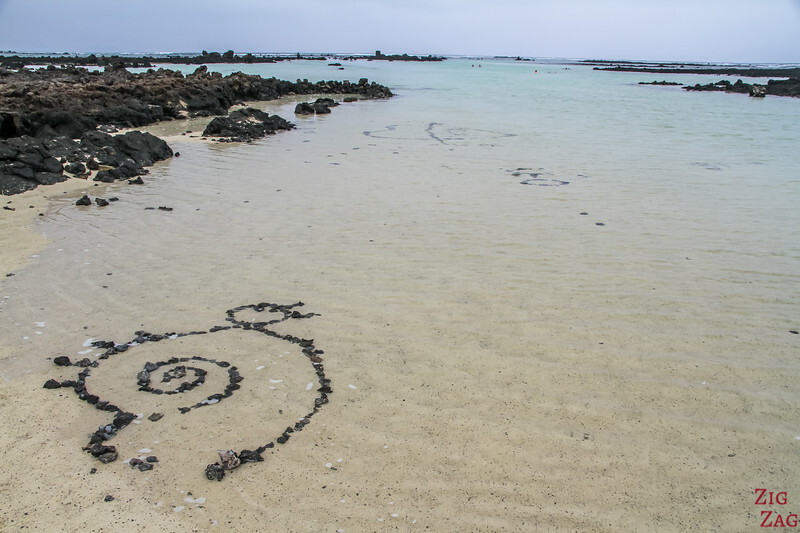 The island has amazing fine sand beaches and volcanoes. There are no roads but dirt track and you can hire a 4WD taxi to get around. Stunning island. More photos and info here. Walking around is quite fascinating with the mix of sand and volcanic soil. 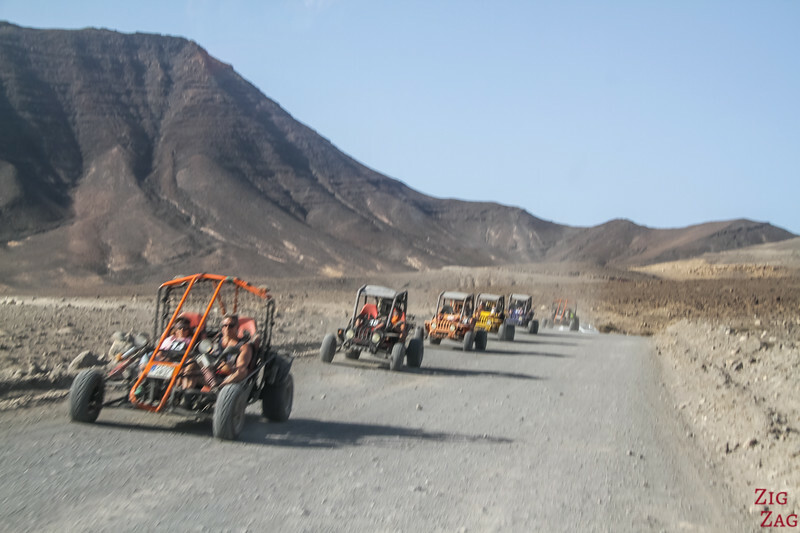 As I said earlier, a great idea is to combine Lanzarote and Fuerteventura in one trip. Either 1 week each or more on one. So, Where are you traveling to? Lanzarote or Fuerteventura ?